"Please turn it off. 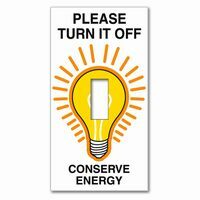 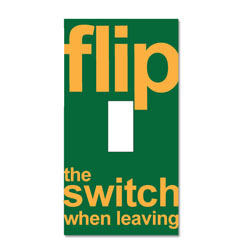 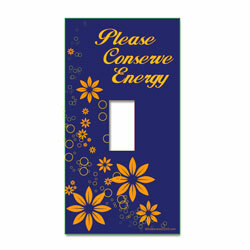 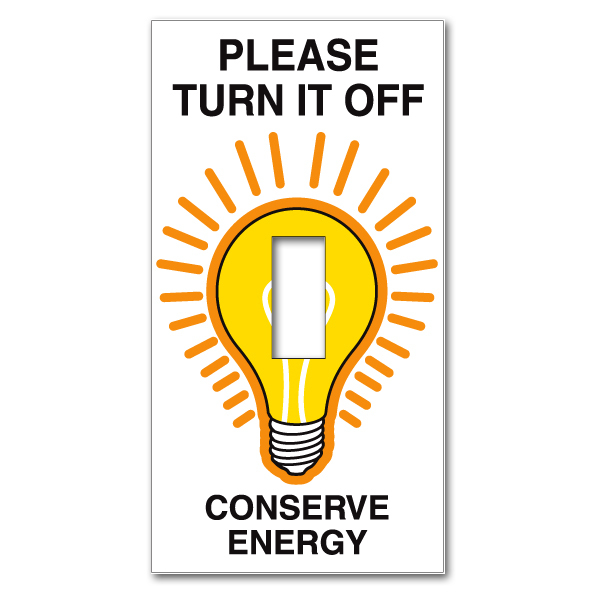 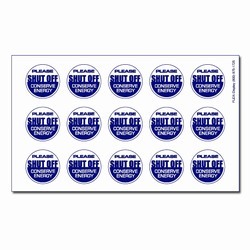 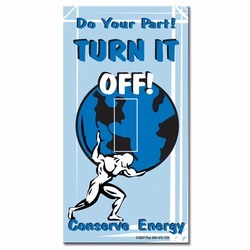 Conserve Energy" traditional bulb Lightswitch Plate Cover Energy Conservation Decal. 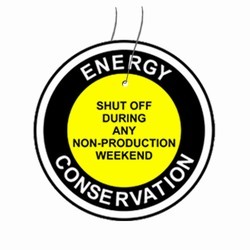 White Sticky Back Vinyl Decal with 3 Color Imprint (Black, Dark Orange and Yellow) 2 1/4" x 4 1/4"